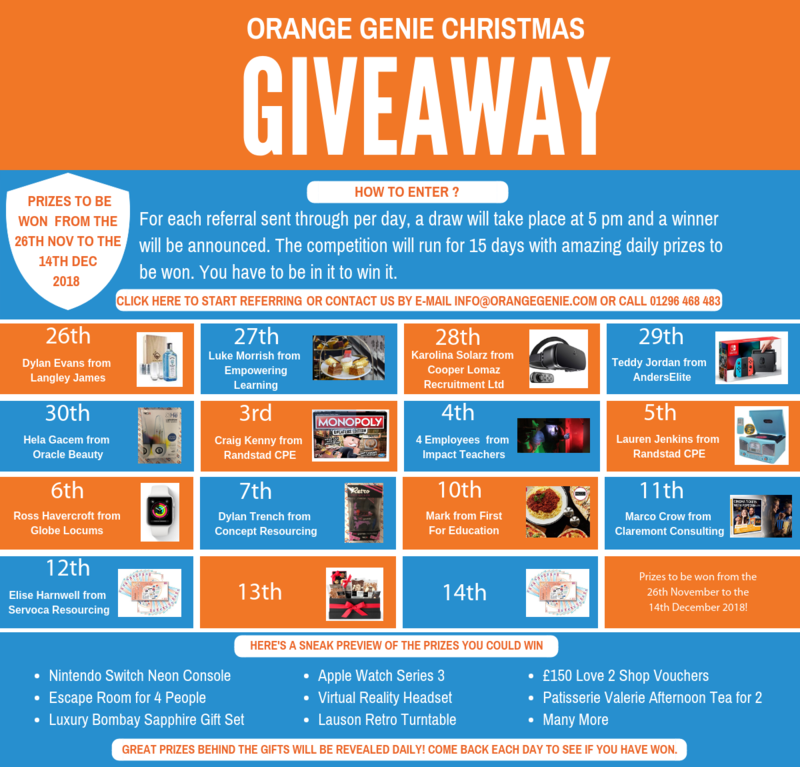 At Orange Genie, we are celebrating Christmas & have a fun packed month of prizes and activities planned for you! Come back each day to see what we have in store for you behind each door! The more referrals you send, the more chance you have of winning. Send your referrals by e-mail info@orangegenie.com or call 01296 468 483!